Kathie Lee Gifford to Leave the Today Show in April, So Break Out the White WineAfter 11 years on the show. Megyn Kelly Could Reportedly Get at Least $30 Million to Just Go AwayShe’s planning a return to TV. But where? Never Forget When the Today Show Cast Dressed As Demented Peanuts CharactersA spooky Halloween memory. Here’s How the Today Show Filled Megyn Kelly’s Hour Today“We are starting a new chapter in the third hour of our show as it evolves,” Hoda Kotb said. Peter Alexander Joins Today, But Not As Megyn Kelly’s ReplacementHe’ll still be the network’s White House correspondent. Watch Cate Blanchett and Sarah Paulson Completely Derail This InterviewThere are a lot of Carol jokes. Ann Curry Said She Reported Matt Lauer’s Conduct in 2012During her final year on the Today show, Anne Curry says, a staffer came to her complaining specifically about Lauer’s conduct. Mandy Moore Is ‘Tremendously Relieved’ That We Know How Jack Died NowMoore talked about Jack’s death on the Today show. Ann Curry Is ‘Not Surprised’ About Allegations Against Matt LauerCurry says there was an environment of “verbal sexual harassment” at Today. Jane Fonda Delights in a New Opportunity to Shade Megyn Kelly on the Today ShowFeaturing an assist from her Grace and Frankie co-star Lily Tomlin. Hoda Kotb Will Reportedly Make Millions Less Than Matt Lauer DidBut she’s still making millions. Katie Couric Finally Breaks Her Silence About Matt LauerAnd why she’ll be saying more later. Post-Matt Lauer, We Need to Redefine the Fatherly Image of American JournalismWith scant few exceptions, the default nonpartisan voice we want to speak to journalistic truth looks like America’s dad. Matt Lauer’s Firing Gave Today a Rare Ratings Win Over Good Morning America Good Morning America has been the most-watched morning show for most of 2017. Matt Lauer’s Wife Has Reportedly Left the CountryHis personal life is crumbling just as quickly as his professional life. NBC Reportedly Has No Interest in Negotiating a Payout With Matt LauerThe former host “will not be paid past his last day at work,” a source told CNN. Two More NBC Staffers File Harassment Complaints After Matt Lauer’s TerminationAt least two more women have come forward. 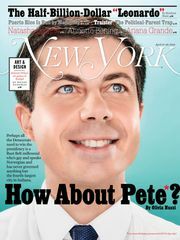 Matt Lauer and the Decline of TodayRevisiting New York’s 2013 cover story. Who Will Replace Matt Lauer at Today?Here are few potential paths NBC execs could take as they look for someone to pair with Savannah Guthrie. 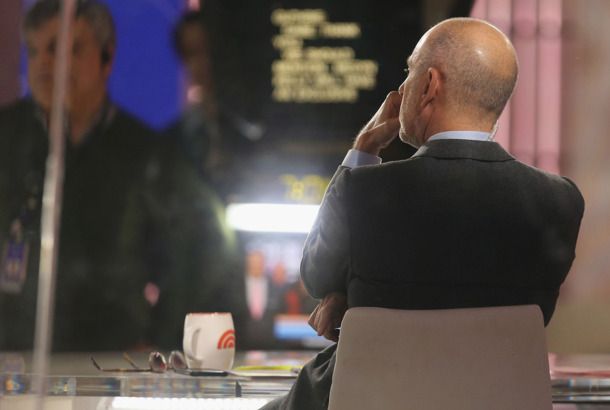 12 Notorious Matt Lauer StoriesIncluding that Anne Hathaway interview. 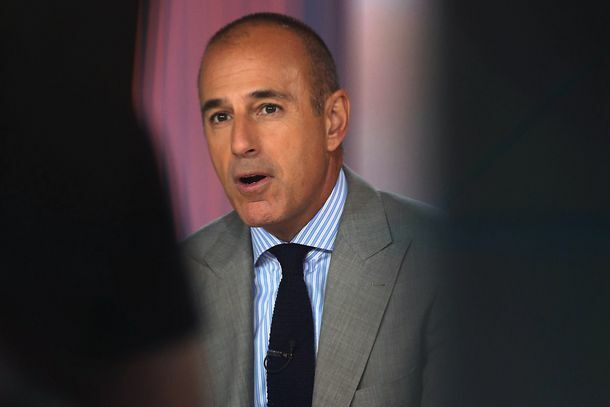 Matt Lauer Accused of Sexually Harassing Multiple Women Under NBC’s WatchA new report claims NBC has known about his misconduct for years. 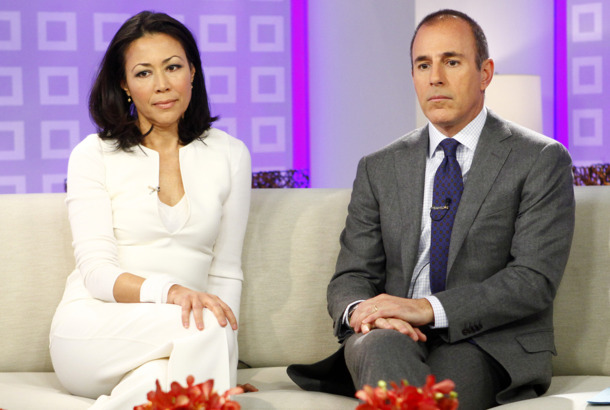 Revisiting the Bitter Matt Lauer–Ann Curry Today Show DramaSomewhere, Ann Curry is smiling after Lauer’s firing. Ben Affleck Shrugs Off Groping Claim: ‘I Don’t Remember It’Affleck tries to move past multiple accusations. Megyn Kelly Dressed As Shania Twain for Halloween and Tried to Have FunThe Today show team did a Grand Ole Opry theme. A Look Back at Megyn Kelly’s Uncomfortable First Week on The Today ShowA day-by-day recap of Megyn Kelly’s awkward first week. Tamron Hall Doesn’t Believe Jobs Define Who People AreThe former NBC host reflected on her old gig. If Today Is As Cutthroat As Game of Thrones, Matt Lauer Is LittlefingerWhich denizens of 30 Rock land in what Thrones house, and who is each person’s Thrones equivalent? NABJ Suggests ‘Whitewashing’ at Fault for Tamron Hall’s NBC ExitThe organization takes issue with reports that Megyn Kelly will get Tamron Hall and Al Roker’s well-performing time slot. Katie Couric Returning to Today Show for a WeekShe’ll fill in for Savannah Guthrie at the anchor’s desk the first week of January. Cher on Cher: ‘I’m Not a Cher Fan’Cher is Cher’s own harshest critic. Carson Daly Will Fill in for Billy Bush on the Today Show TomorrowBush has been suspended indefinitely following his involvement in a recently uncovered conversation in which he and Donald Trump make lewd comments about women. Billy Bush Comments After Taking Heat for TrumpThe internet has unleashed its wrath.